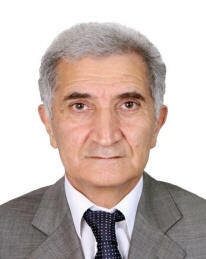 Untimely death of Dr.Yusif Shikhaliyev, the active member of National Committee of Geophysicists of Azerbaijan is a huge loss to geophysical community. Yusif was born on March 15, 1952. Following graduation from secondary school he entered Baku State University. Successfully completing his study at the University with specialty of mathematician he joined Institute of Geophysics under State Oil Company of Azerbaijan Republic (SOCAR), progressing over the years to position of laboratory head. He received his Ph.D. in 1989. Y.Shikhaliyev was actively involved in development of software package “REZAYR” for joint interpretation of seismic and well log data. He took a part and supervised researches on geological setting and lithological characteristics of rocks in “Chirag”, “Umid”, “Babek”, “Shahdeniz”, “Absheron”, “Zafar-Mashal” and other areas. Y.Shikhaliyev was a highly influential member of numerous professional committees and working groups including technical committees of a number of international conferences. He was actively serving to geosciences being the representative of Society of Exploration Geophysicists (SEG) in Azerbaijan and an active member of Bureau of National Committee of Geophysicists of Azerbaijan. His long-term ties with Universities of Utah, Columbia and Texas (USA), Beicip-Franlab Scientific Centre (France) and close cooperation with major companies such as BP, Exxon-Mobil, Total and Schlumberger played a significant role for introduction of Azerbaijan’s geophysics to international geosciences community. Y.Shikhaliyev also lectured at Azerbaijan State Oil and Industry University, being a mentor for generations of young geophysicists. From 2009 he held a position of Deputy Director at SOCAR Geophysics and Geology Department and was repeatedly awarded for his activity by the Honorary Diplomas of SOCAR. In 2015 he was honored by “Progress” medal. His memory will be living on in hearts of his friends, colleagues and students.